Ruth was brought up just outside the Brecon Beacons National Park in Carmarthenshire. 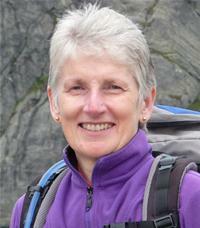 She is a keen walker and as a volunteer leader of walking holidays she enjoys sharing the beauty of the Brecon Beacons with visitors. A scientist by training, Ruth spent many years in medical research at the University of Wales College of Medicine in Cardiff before joining the Welsh Development Agency. Her roles there included helping Welsh companies and academics to access research funding from Europe and advising the Board and executive on governance and risk management. Ruth was appointed to the Standards Committee in October 2013.